And it’s not just his businesses that evolve. Bezos is changing, too. It’s been through his acquisition of the flailing Washington Post, which he purchased for US$250 million in 2013, Bezos has been able to show a different side. And Bezos hasn’t been afraid of employing his consistent business model of new ideas and expansion with the Post. Since his acquisition of the publication, it surpassed The New York Times in unique traffic last year for the first time and traffic has tripled since his takeover – a fact largely attributed to his aggressive approach using technology and social media along with Bezos’s mandate to experiment, says The Wall Street Journal. 1. Hard pivot toward the winning idea. 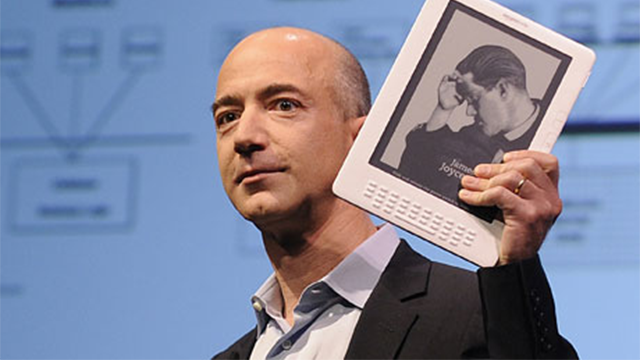 Bezos is a data-driven guy and a risk taker – a powerful combination for decision making. Not one to shy away from opportunity, he recognized the possibilities of online sales and compiled a list of 20 possible products that might sell well on the internet. Books were on the list, along with CDs and software. 2. Invest in the long term. He’s been an investor in Blue Origin for 16 years – before space-exploration rival Elon Musk got into the mix with his SpaceX company – and he funds it out of his own pocket to the cool tune of US$500 million a year. He requests that his employees write a four-to-six-page narrative before the meeting and distribute it to everyone who is attending for them to read for the first 20 minutes of the meeting, according to Business Insider. Afterwards, whoever is presenting fields questions. While it’s definitely a unique method of showcasing new ideas, Bezos believes it forces careful consideration of one before bringing it to his attention – something a PowerPoint presentation just doesn’t accomplish.